BMW’s M1 was the company’s first attempt at building a supercar. Produced between 1978 and 1981, BMW built just 456 examples of the mid-engine coupe, powered by a 3.5-liter straight six engine producing 273 horsepower in street trim. Mild by today’s standards, the car’s power and shape were cutting-edge at the end of the 1970s, and the M1 remains a highly desirable collector’s item today. 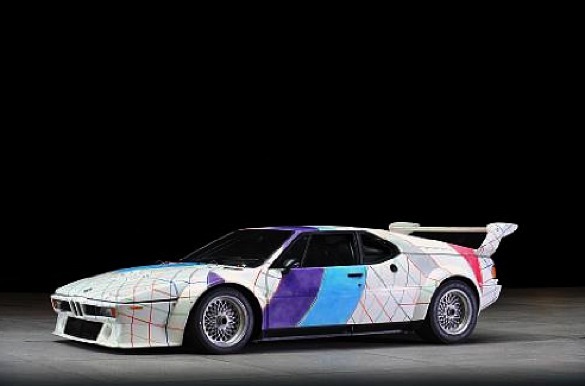 As valuable as an M1 is in any form, an M1 “Art Car” is exponentially more valuable. Throw in ties to a famous racer/owner who died a tragic death, and you have a recipe for huge auction numbers. 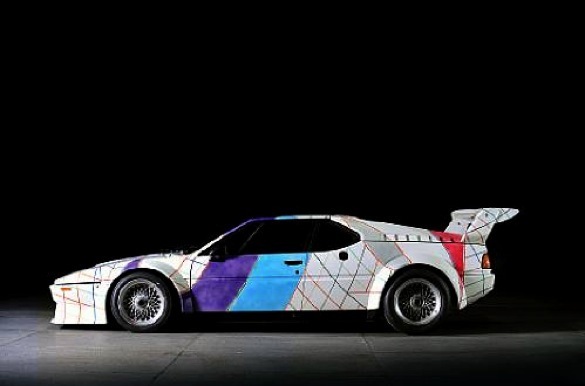 The car pictured is a 1979 BMW M1 Art Car, painted by Frank Stella in a theme called “Polar Coordinates” and originally owned by IMSA champion road racer Peter Gregg. For Jacksonville, FL residents, Gregg is perhaps best known as the former owner of Brumos Motors, or for his tragic death by suicide at the age of 40. Injured in a crash on his way to the 1980 Le Mans race, Gregg was left with double vision; unable to race and unable to enjoy life, Gregg ended his life with a bullet by the side of the road on A1A. 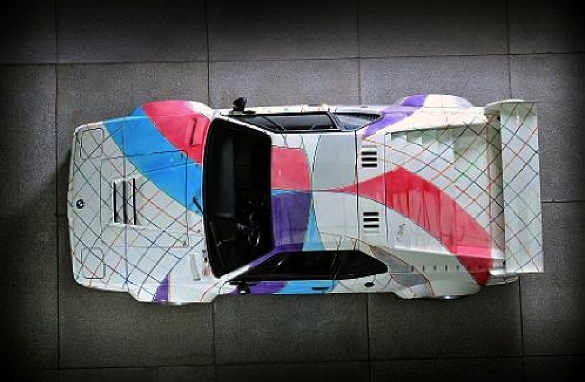 His BMW M1 was painted by artist Frank Stella, in Jacksonville, FL, in 1979. Stella designed the paint scheme himself, and produced a series of paintings on the theme as well. All “Polar Coordinates” pieces, including the M1, were dedicated to Ronnie Peterson, a fellow racer and teammate of Gregg’s who died following a crash at Monza in 1978. Gregg’s former M1 is currently owned by the Guggenheim Museum, and it represents the only BMW Art Car not owned by BMW. It’s scheduled to cross the block at Bonhams Quail Lodge Sale on August 18, and pre-auction estimates have the value at $450,000 to $600,000. Given the car’s history and status as an Art Car, I expect that estimate will easily be broken. BMW would love to bring the car home to Munich, but it would be fitting if it were snapped up by someone with ties to Jacksonville. This city is a big part of the car’s tragic history, and it belongs here as much as it does in Munich.